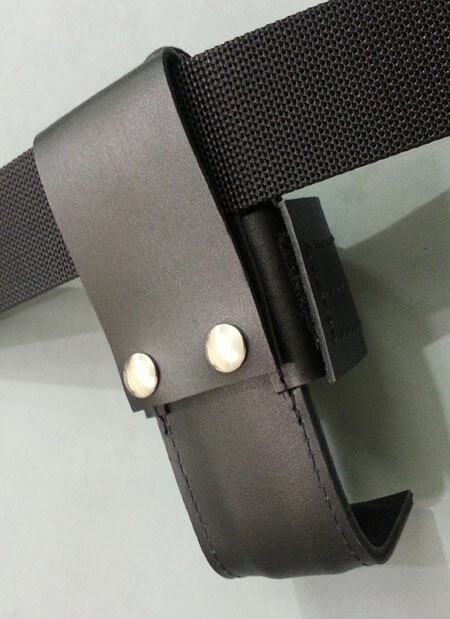 The holder is designed to fit around belts up to 2 1/4" wide. 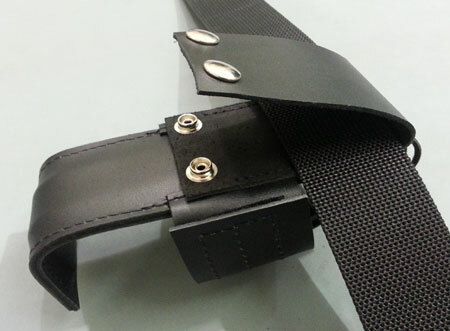 The leather belt loop is secured with two heavy duty snaps. 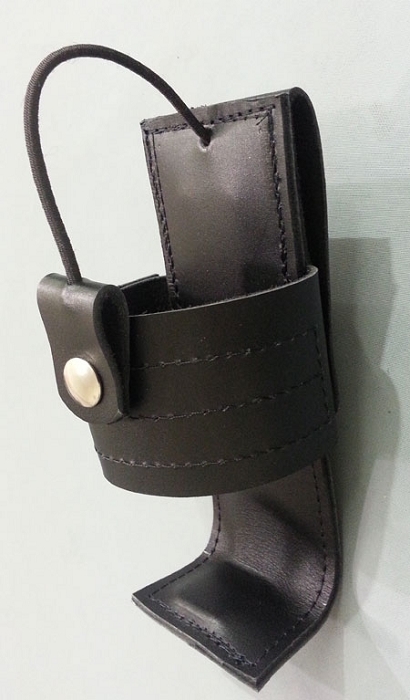 It is handcrafted from full grain leather and has an adjustable leather closure that secures the radio in place. 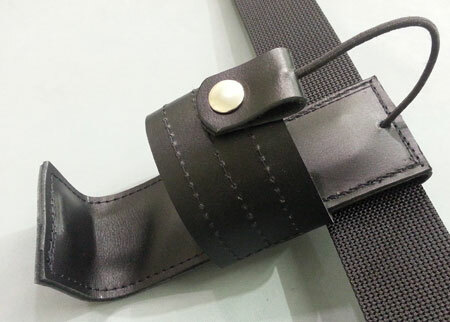 The holder also has a strap that secures the radio from the top to keep it from shifting upward during vigorous motion.